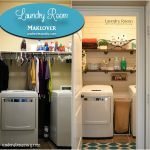 What do you do with an Art Niche? 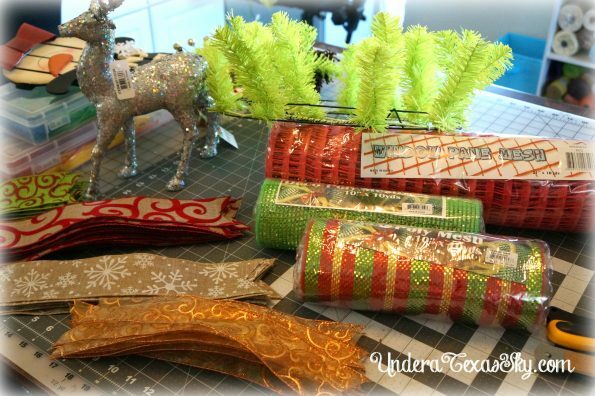 I am so happy to be one of several bloggers invited to participate in the 12 Days of Handmade Christmas Tutorials . 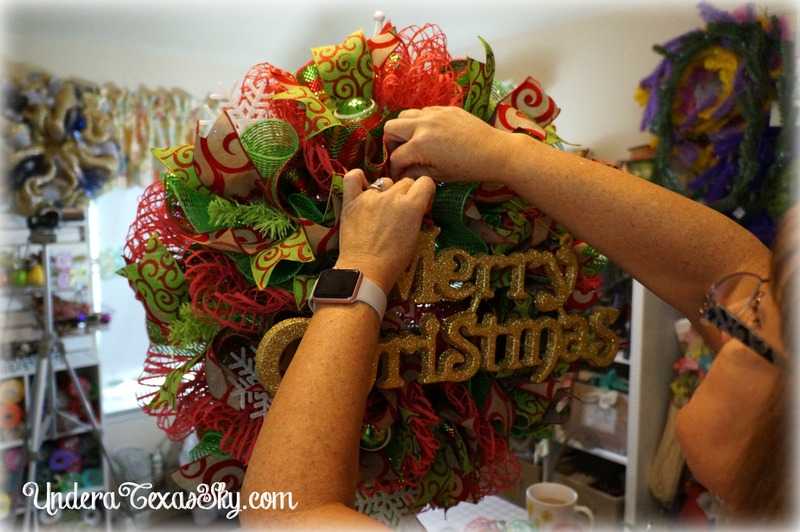 My latest Christmas wreath is the perfect choice for a written tutorial and I was happy to include it. October is a GREAT time to get your Christmas crafts going so there is no rush when the holidays roll around. Check out all of the tutorials! 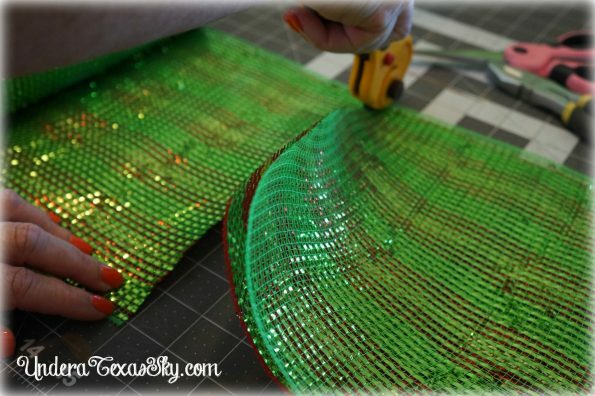 Take your window pane mesh and start attaching it into the first twist of the outer ring. Treat it just like any ordinary deco mesh. We are using the “pouf” method here. Measure out 15″ for your next pouf. I ALWAYS measure to be sure all of my poufs are the same size. A 13″ pouf may have been the better choice, because 15″ is really full. After measuring your pouf, gather it section in your hand and place it into the next twist. 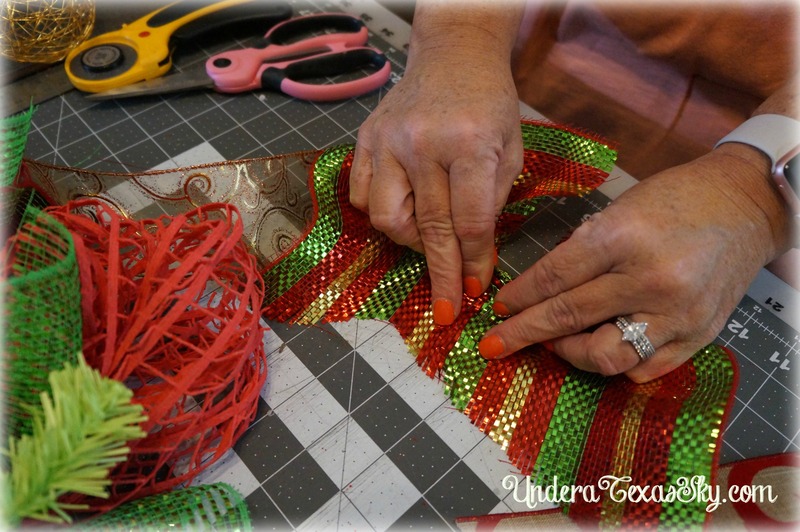 Continue this around the outer ring, making sure your poufs are as uniform as possible. 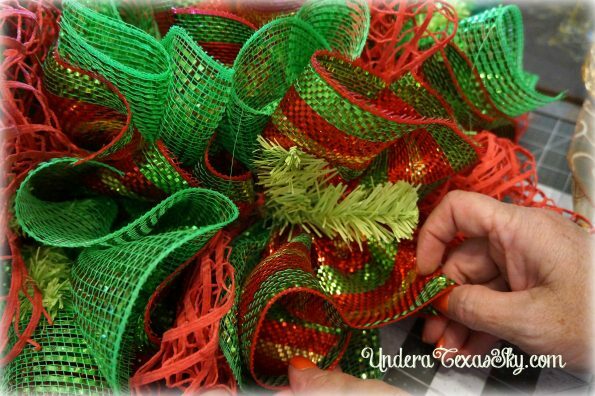 When you get to the last twist on the outer ring, pull the mesh tight across to the inner ring and place it in the closest inner twist. Don’t make a pouf here. Just act like this is how you started on the outer ring. 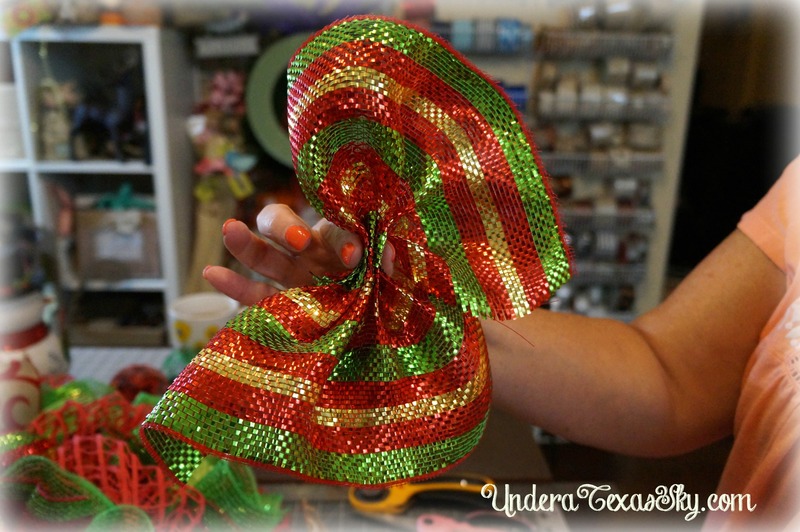 Start making poufs around the inner ring. At the end, clip off the mesh from the roll, and tuck the tail into the wreath form. 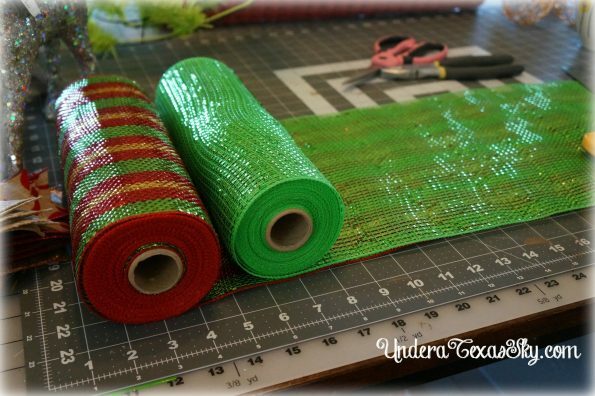 Take your two 10″ rolls of mesh and place one on top of the other (this way you can cut two at a time). Measure out 12″ and make your cut. 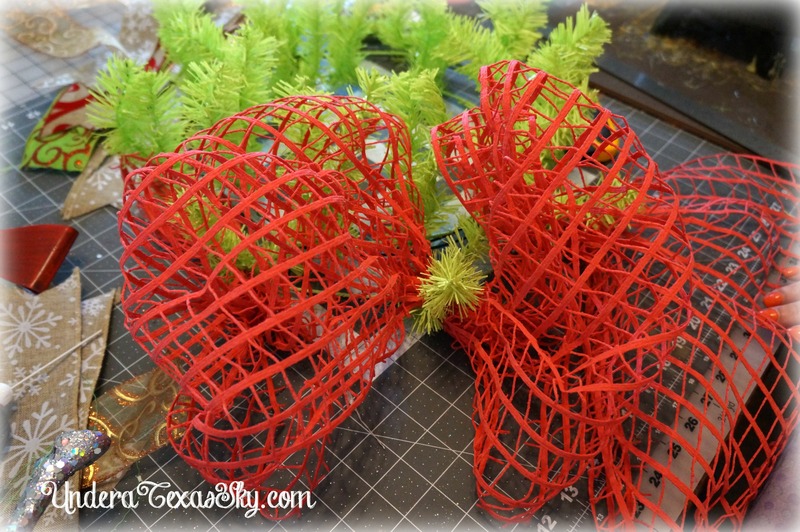 I used two ruffles per twist, and since there are 18 twists, I made 18- 12″ cuts. 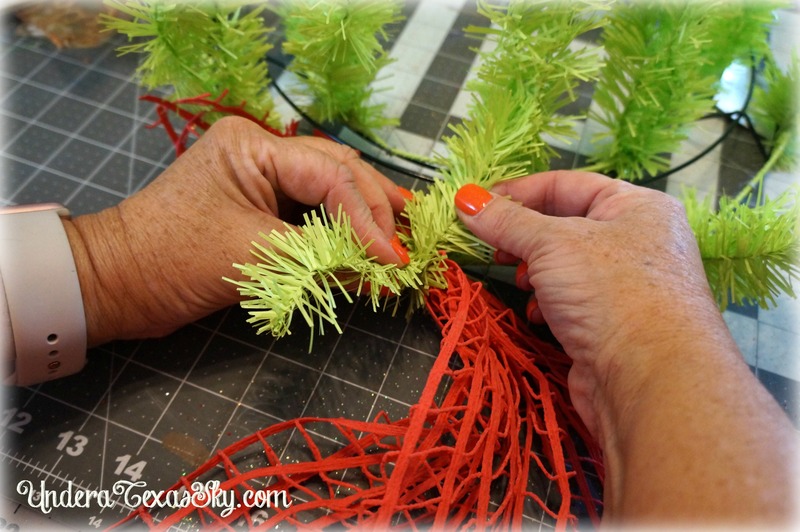 A rotary cutter makes this so much easier! To make your ruffle, lay the cut mesh flat on your surface and start to gather the mesh in the middle. You’ll come up with what looks like a bow tie or a butterfly. Attach the ruffles one at a time into your twists. I alternated my ruffles in each twist- one with the strip on top and green on bottom, one with green on top and stripe on the bottom, etc. 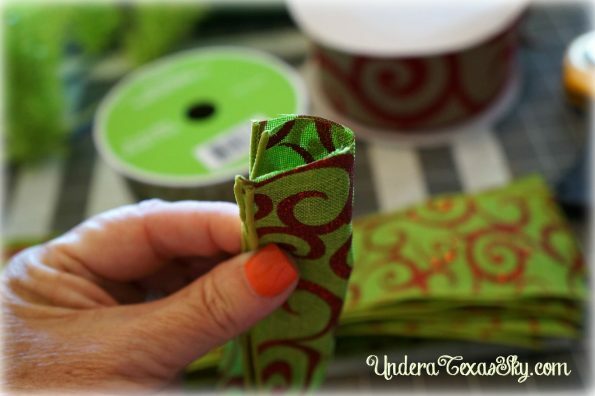 Be sure you open the twists and place your ruffle right next to the window pane. 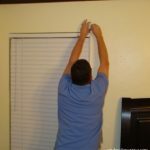 You will run out of room if you don’t do this. I did both ruffles one after the other in each twist and worked my way around the wreath filling every twist with two ruffles. 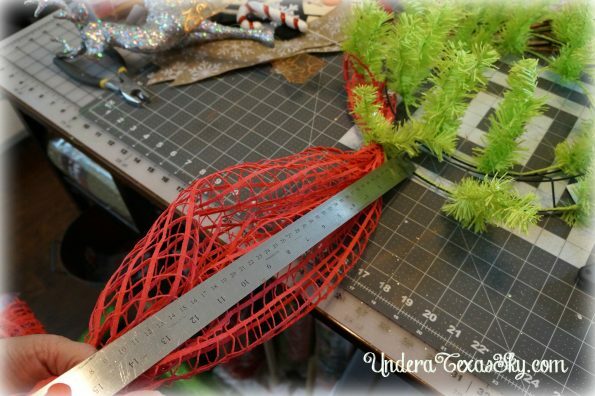 Cut your wired ribbon into 13″ lengths. To give it a nice finished look, “chevron” the ends. To accomplish this, fold your ribbon in half. 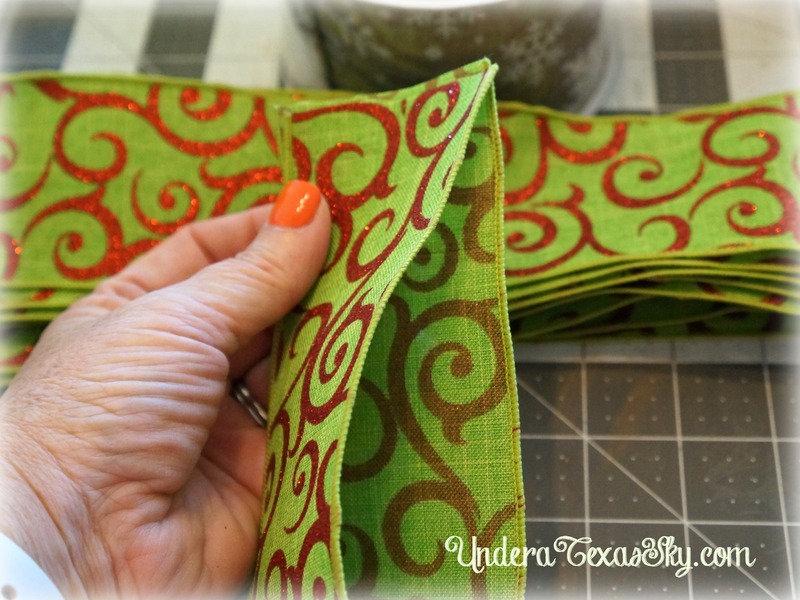 Then fold the ends lengthwise. Cut a diagonal cut from the folded side to the open side. 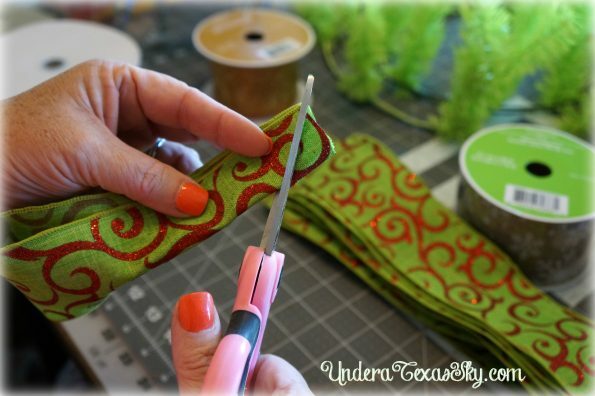 This cuts both sides at the same time, and voila! 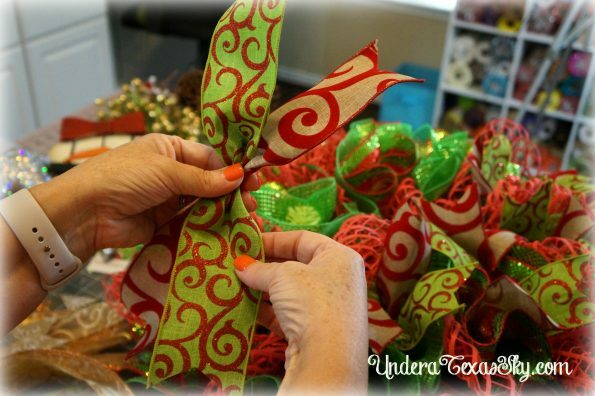 Insert the ribbons into every twist (this is why you open every twist before adding the next element. We’re really loading them up!). I stack the ribbons on top of each other and insert them both at the same time. 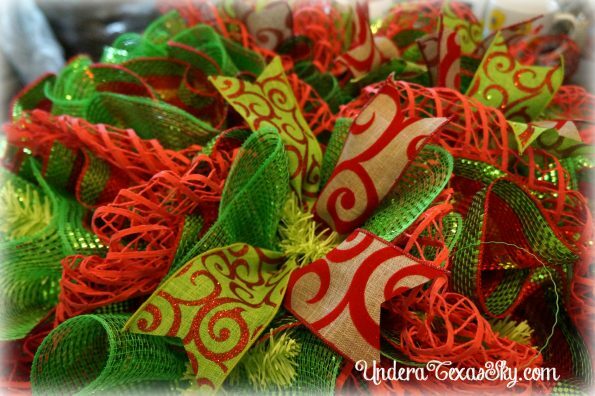 Separate the ribbons after they are in the twists. I also alternated these as I went around. Regular Christmas balls work great for mesh wreaths. I just dip them into my glue pot and stick them in open spaces on the wreath. Use a variety of ornaments for more visual interest. I also added some sparkly snowflakes, gluing them randomly around. 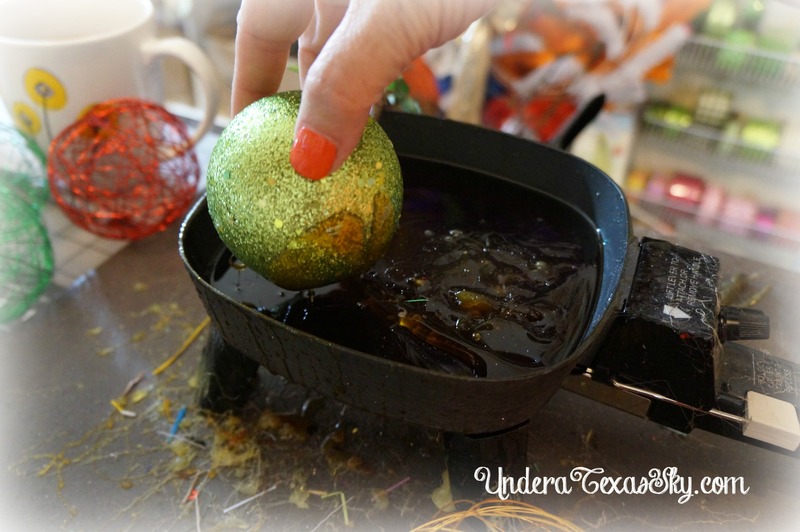 Some little sparkly Christmas presents were the perfect addition. Finally, I added a “Merry Christmas” sign in the middle. This sign came with a string attached, so I pulled it up through the mesh and attached it to the frame with zip ties. I added some floral wire to pull the bottom of the sign in a bit and attached the wire to a twist. Sometimes when you attach a sign using a hanger at the top of the sign, it tends to pooch out at the bottom. 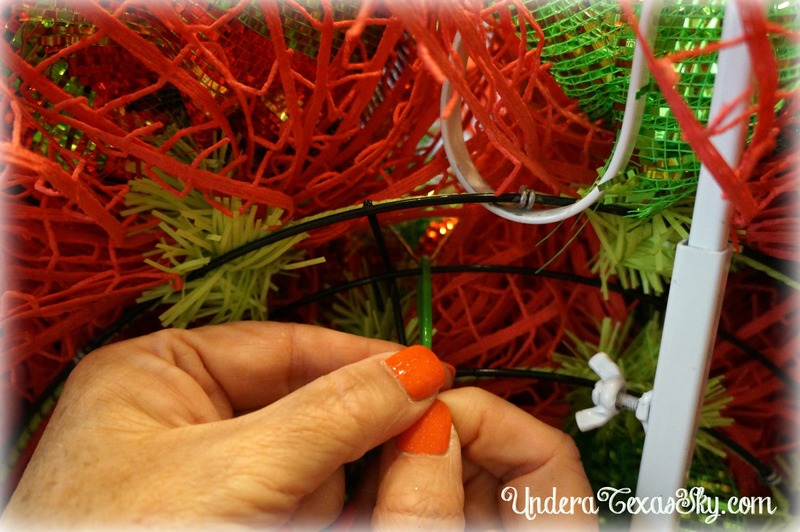 Adding the floral wire to the bottom of the sign pulls it in and gives it a more even look. 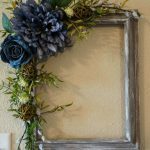 I love how this wreath turned out! I hope you try it! 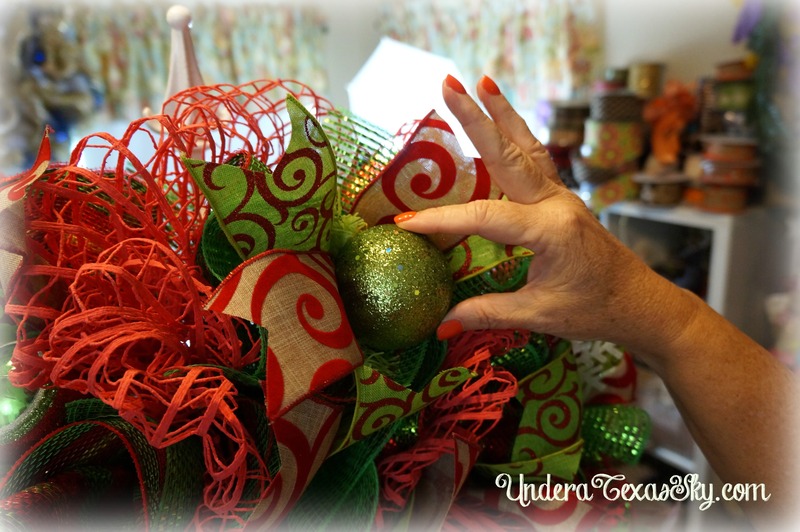 If you’d like to see me actually making this wreath, here’s the video tutorial! 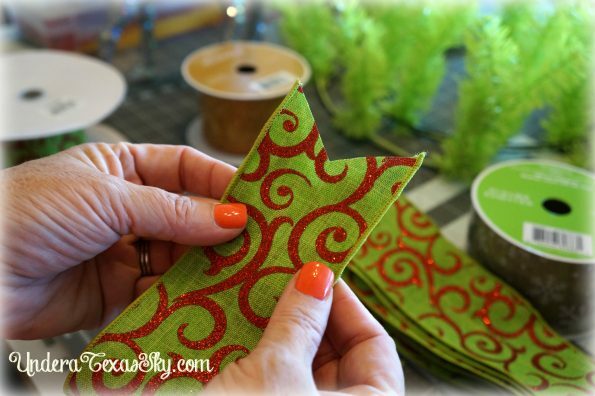 Don’t forget to check out 12 Days of Handmade Christmas Tutorials! 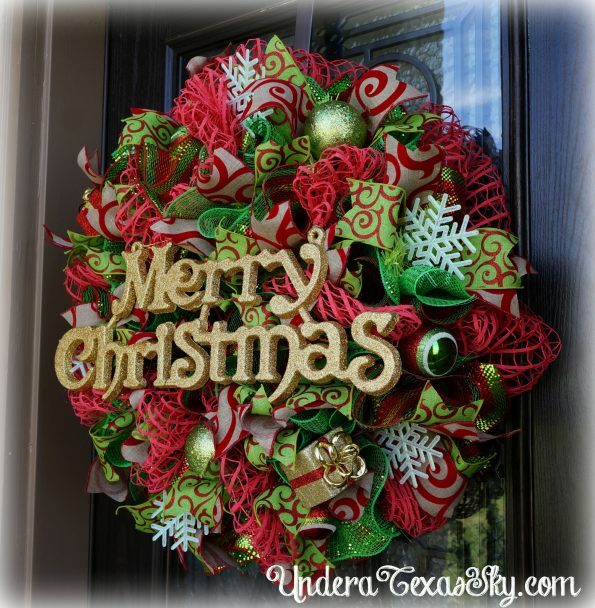 Love this wreath, i need to try it. 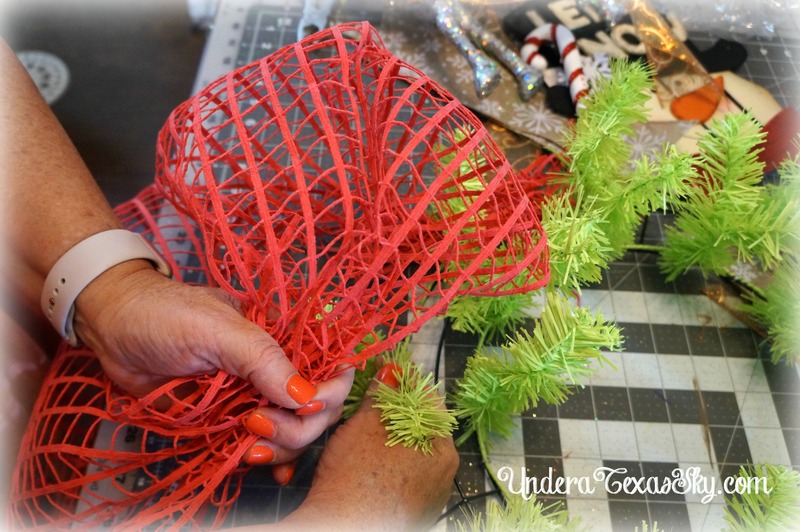 Where do you get your deco mesh? 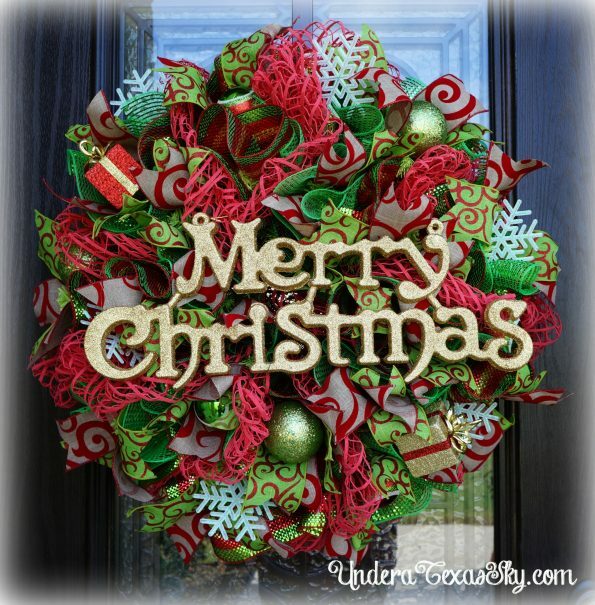 Stunning wreath.. excellent directions. Thank you for sharing. Hi Kelly! 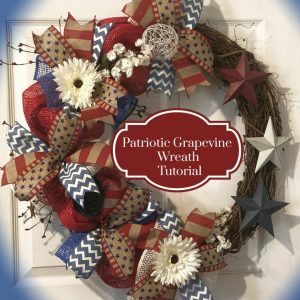 I just wanted to tell you that I followed this tutorial today, and I made a really beautiful wreath. I wish I could post the picture here. It was a cardinal themed wreath for my mother-in-law. My father-in-law passed away last Christmas, so this year will be a difficult one for all of us. She loves cardinals and I thought this wreath would be something to make her feel better. Your tutorial was very easy to follow. Thank you! Great job! Hi! 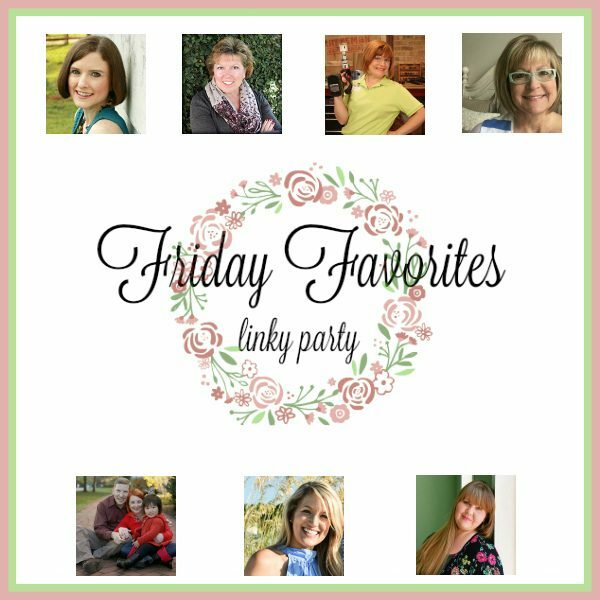 I’m Kelly, a long-time wife; a mom to two beautiful adult daughters, and most recently the Mimi to the most precious little baby girl you’ve ever seen. I’m a crafter, a sharer of cool ideas, and a master of wingin' it. I truly hope to get you to try something new- and mostly to get you to squeeze every ounce out of life you can. 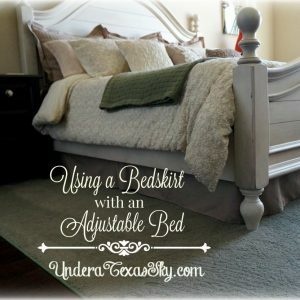 Welcome to Under a Texas Sky- it IS where my dreams come true!